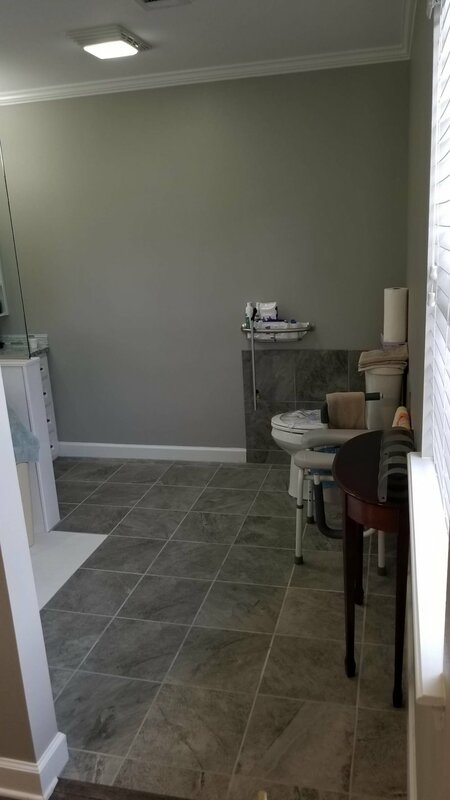 This guest bath needed a little bit of love to get it where the customer was satisfied. 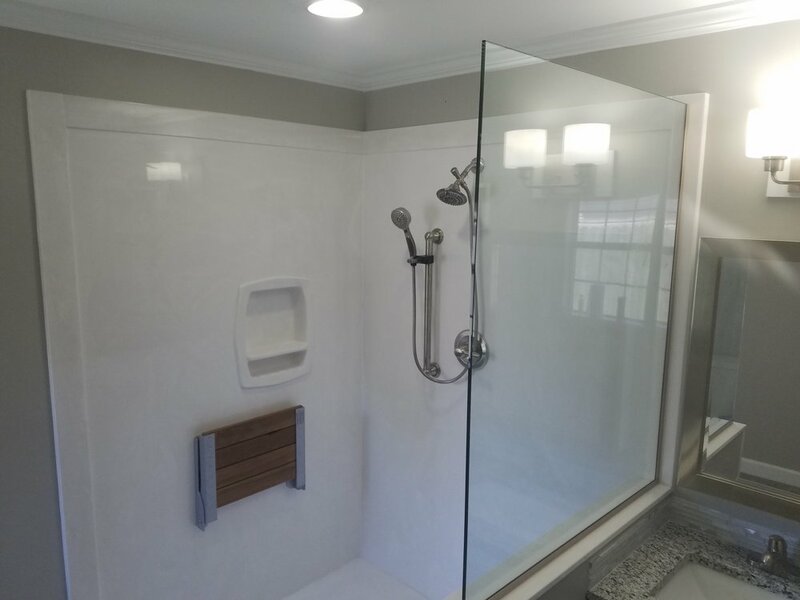 We opened up the shower room by enlarging the cased opening to make the whole bathroom feel bigger. 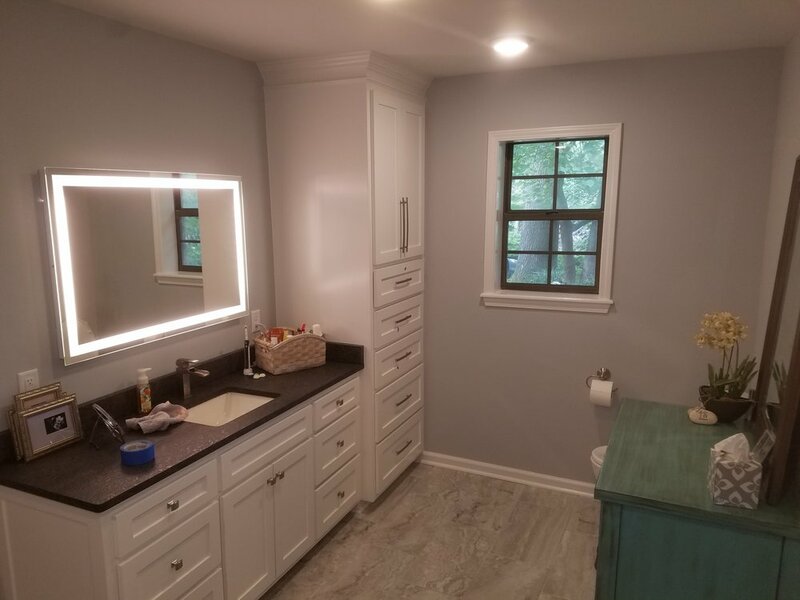 We updated the vanity by painting it and putting a new cultured marble top on to refresh the look. 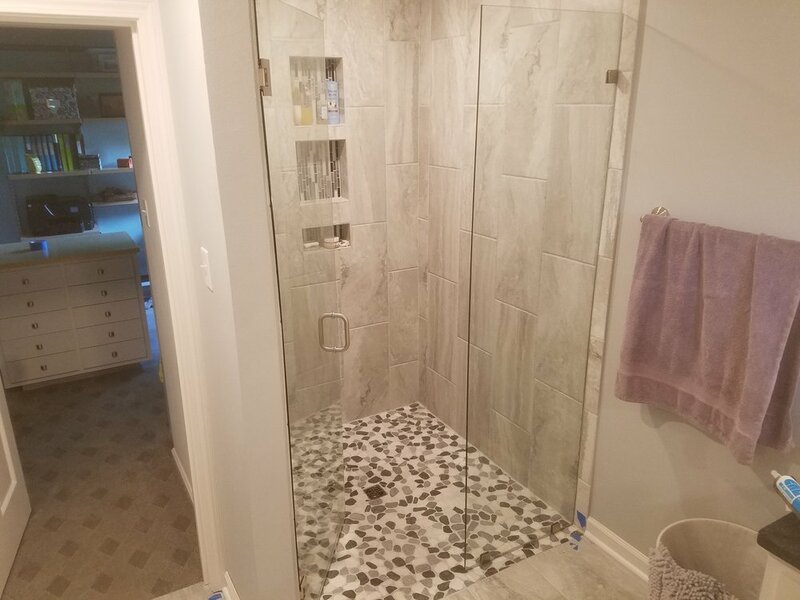 The shower took a whole new look when we changed out the fiberglass unit for a new cultured marble shower with tile deco-band and frameless glass door. 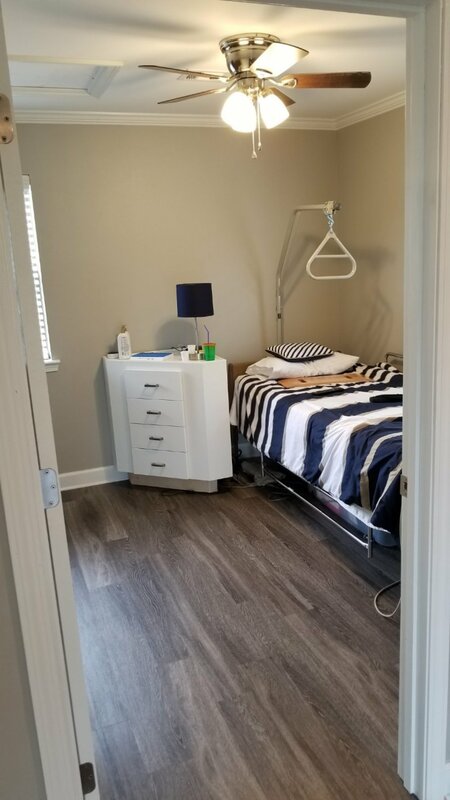 What do you do when you have a mediocre den? 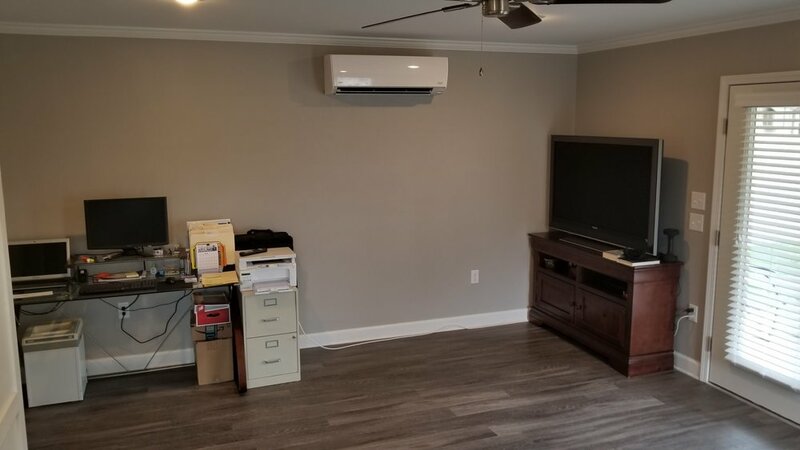 Put a fireplace in it with a 65” flat screen and full surround sound built-in. See pictures to see how we executed his order! 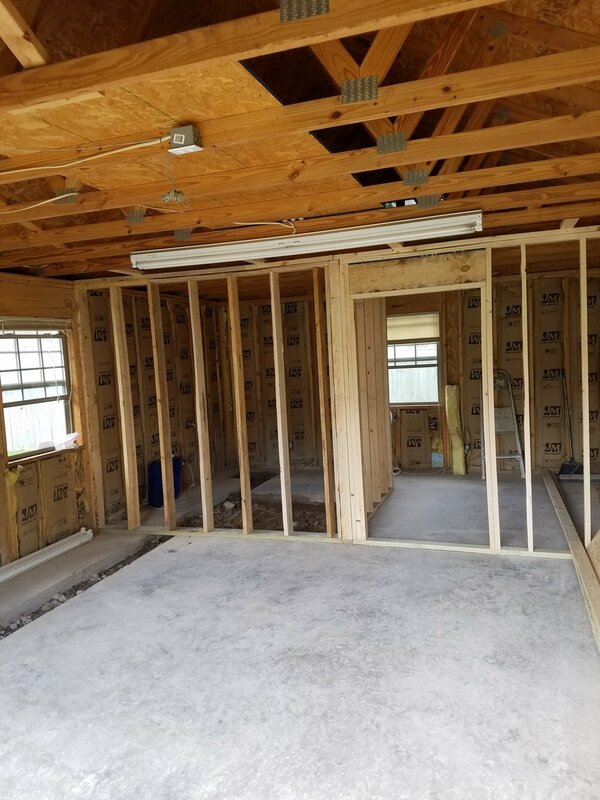 A beautiful wood-look tile shower in West Conway! 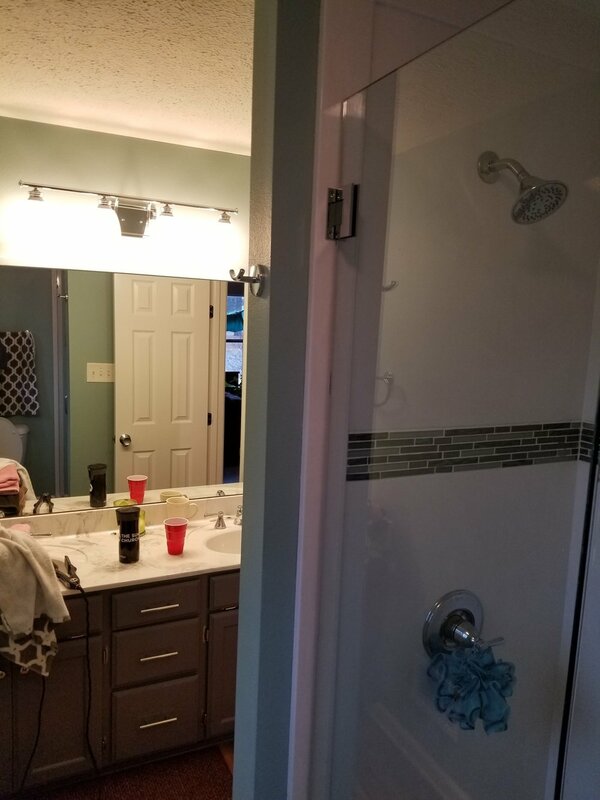 The old shower looked great, but had some issues that needed to be resolved. 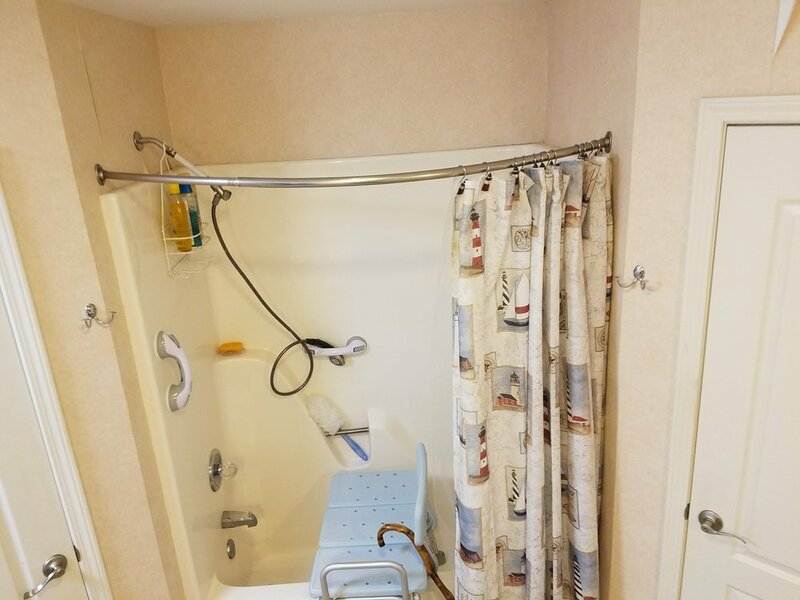 In this case, the customer got a brand-new shower!